Time Files... Only Left To Secure Your Box. Join Now! I purchased the grateful bracelet for my girlfriend and the same design as a leather bracelet for myself. We both love it. It’s a great reminder. We donate $1 of your purchase to the unstoppable Foundation! Change Your Thoughts - Change Your Life! Feeling good is mandatory to attract good things into your life and repetition is key to reprogram your subconscious mind quickly and in the easiest way possible, to accomplish anything you truly desire. NJOOYS is your day to day mind feeder. 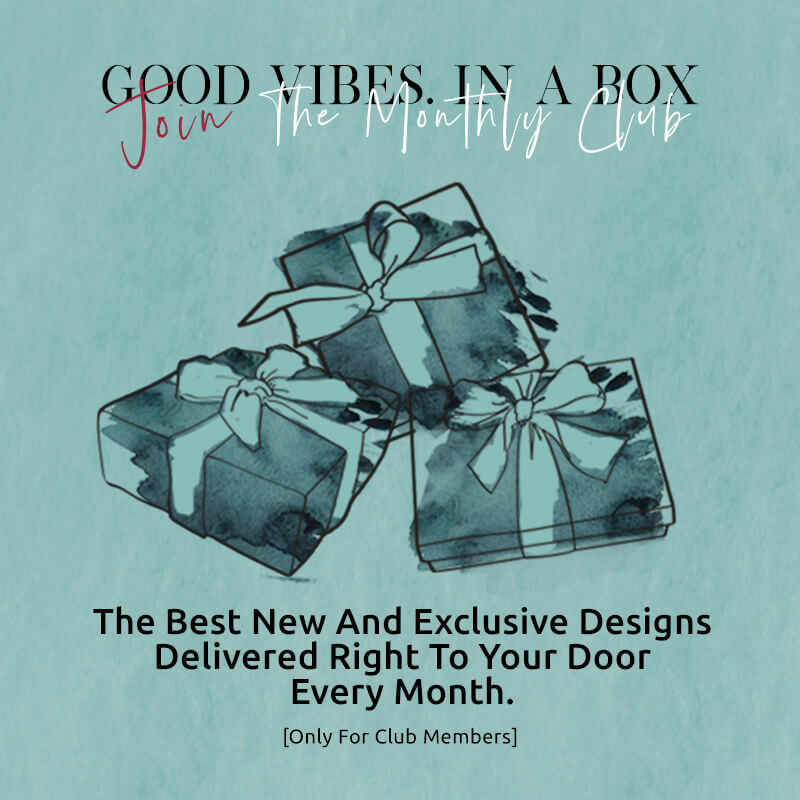 A symbol of a positive attitude towards life, surrounded by noble and inspiring fashion and lifestyle products that will strengthen and motivate you to strive for your goals, to believe in yourself and dare to dream big. Live life to the fullest, cherish every moment and make a difference. Today! Great Mind Feeder - Change Your Thoughts | Change Your Life! We Offer Fast Shipping & Hassle Free Returns! We think you'll love your "Good Vibes" as much as we do. If for any reason you are not completely satisfied with your NJOOYS product, just return it [unused and in it's original packaging] within 60 days of receipt and you get a full refund of the purchase price [less shipping + handling]. We take all the risk out of ordering by offering an unmatched satisfaction guarantee. We'll always do our best to take care of you. Spread good vibes. everywhere | LIKE and SHARE with your friends and family by choosing your favorite social platform below! 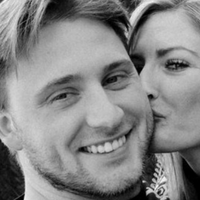 My sister has been through a tough year. I’ve been doing everything I can to help her out. Sometimes, it feels like a losing battle but I keep telling her to hold on and make the most of the situation. 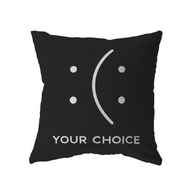 I saw this pillow "Your Choice Pillow" with this cute image and text. I knew she would appreciate it so I bought it for her. She said it helped her to always consciously make the choice to see the good in everything. Helping her has also helped me be strong. We always have a choice whether we want to stay in the dark places that life has put us in or see the hope at the back of it that we can make things better. She loves her pillow and she never sleeps without it. I am in a place right now where it is very easy to give up and just throw in the towel. Sometimes it feels like it’s the only thing left to do. But I do my best to stay motivated. 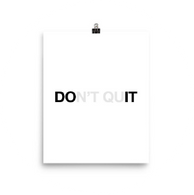 Seeing this "Don't Quit Poster" gives me that extra push. Each time I look at it I feel encouraged to keep going strong. Don’t quit. I tell myself and on days that are better than others, it’s a great reminder of my successes. Each time I conquer that feeling of defeat is a cause for celebration. I really love NJOOYS. This is just one of the products that I've purchased from them. They really make great statement posters and items. 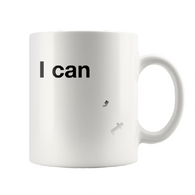 This one is my favorite.- Tyler P.
This "I Can___'_t Mug" is a great morning motivation for me. Every day I get up, I look at it and I immediately feel energized. I love love love how it’s there like it’s greeting me every morning. And each time, I tell myself that I can. I can get through the day. I can succeed and I feel proud of myself at the end of the day even for my small accomplishments. Each milestone no matter how small – counts! 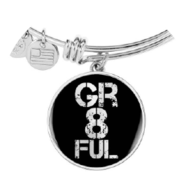 I purchased the "Gr8ful Bangle” because it has a powerful message. How wonderful it is to be reminded to be more grateful. I get stressed out easily and when I look at my wrist… I see my bangle and it tells me to be grateful. I am glad that I made this purchase. It means a lot to me, I wear it every day and I truly feel happier since I practice gratitude on a daily basis. It's About Life, It's About Style, It's About Good Vibes. Everywhere! © 2019 NJOOYS® good vibes. everywhere! Website design, content and product design all owned by and are property of NJOOYS and may not be used without the consent of NJOOYS.